What is the pledge to the Mississippi Flag? When was the Mississippi flag adopted? Where can I purchase a Mississippi Flag? 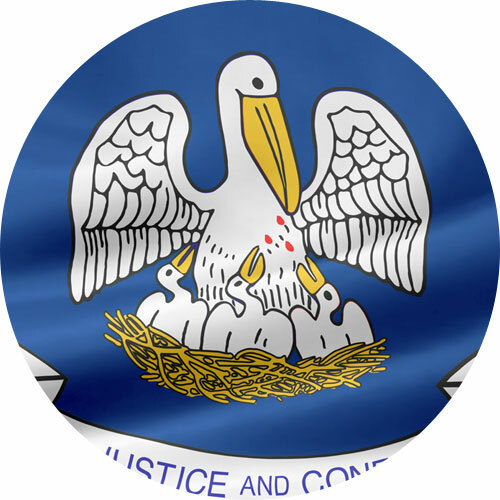 What do the designs on the Mississippi Flag represent? 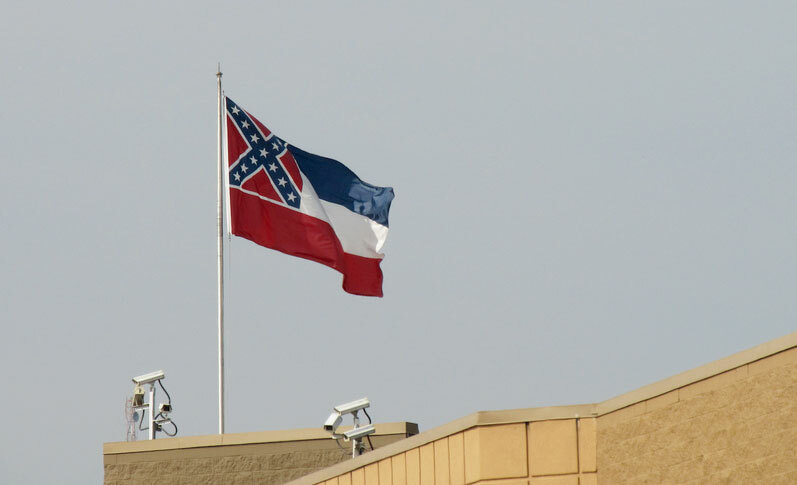 How are you supposed to fly your Mississippi flag with your American flag? 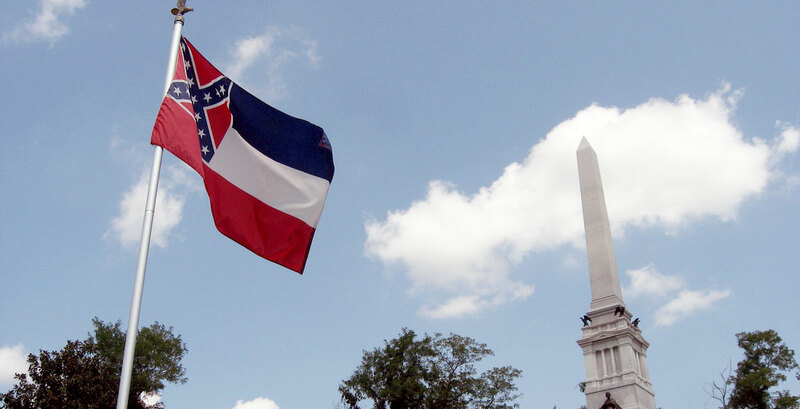 The pledge to the flag of Mississippi is: “I salute the flag of Mississippi and the sovereign state for which it stands with pride in her history and achievements and with confidence in her future under the guidance of Almighty God”. The flag of the state of Mississippi was first adopted by the U.S. State of Mississippi in April 1894, replacing the flag that had been adopted in 1861. 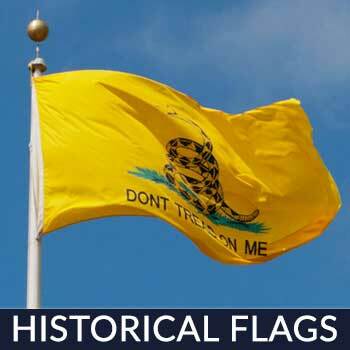 The flag was subsequently repealed in 1906 but remained in de facto use. 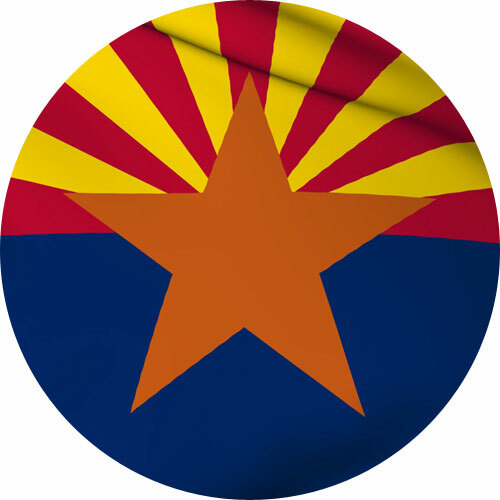 When a referendum failed for a new design in April 2001, the state legislature voted to readopt the historic design that same month. 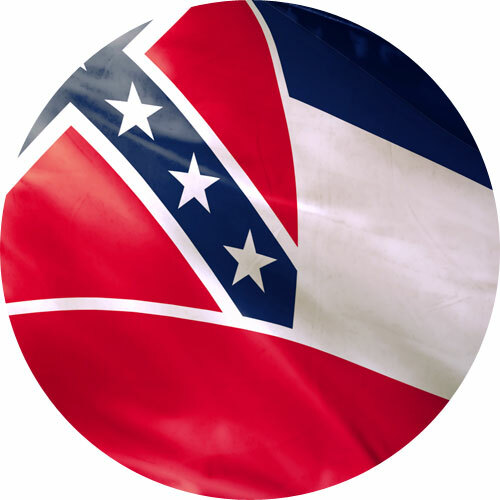 In 2000, the Supreme Court of Mississippi ruled that the state legislature in 1906 had repealed the adoption of the state flag in 1894. 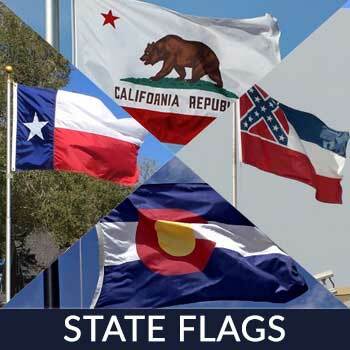 What was considered to be the official state flag was only so through custom or tradition during the previous 94 years. The flag was officially readopted on April 17, 2001. For a truly American made Mississippi flag, go to “Star Spangled Flags”. They are built tough and able to withstand sunny weather. 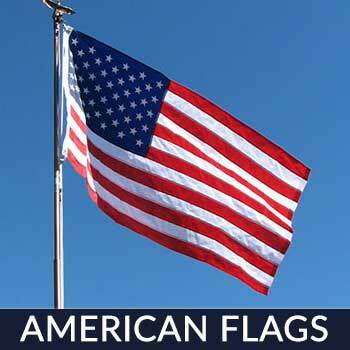 They have superior stitching to help with unraveling and fraying improving the lifespan of the flag. They are also a great gift idea as they come in an attractive presentation box which makes them a great gift for friends and family. The design on the Mississippi Flag of thirteen five-pointed stars, represent the original thirteen colonies that were united to form the United States of America. The red, white and blue represents the Union as they are the national colors of the United States of America. As of today, the Mississippi state flag is the only remaining U.S. state flag which still depicts the Confederate battle flag’s saltire. 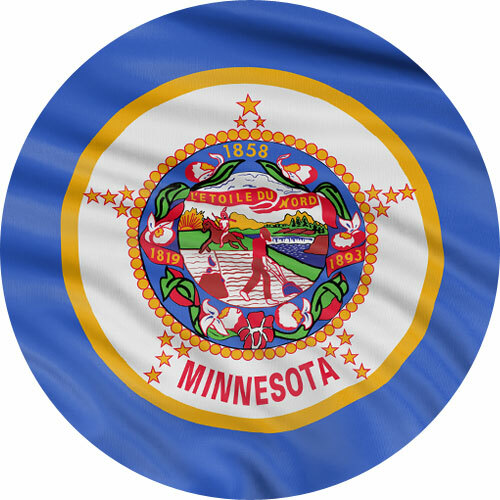 When flying the Mississippi and American flag on the same pole, the flag of the United States must always be at the top and the Mississippi flag should be the same size or smaller. When It is flown on separate poles, the Michigan flag will be to the right of the flag of the United States situating the U.S. flag in the position of honor, which is to the observer’s left of the other flags. Mississippi is located in the southern part of the country. It is bordered by Alabama on its east, Tennessee on its north, Louisiana on its south, Arkansas and Louisiana on its west. The state is nicknamed as “The Magnolia State” due to the number of magnolia flowers a growing on its land. The major industries that have a big impact on Mississippi’s economy are agriculture, textile, electronics, manufacturing and transportation. But the state’s major industry is still farming, particularly in cotton production, corn, rice and soybeans. The Mississippi State Fair has been celebrated for more than 150 years. 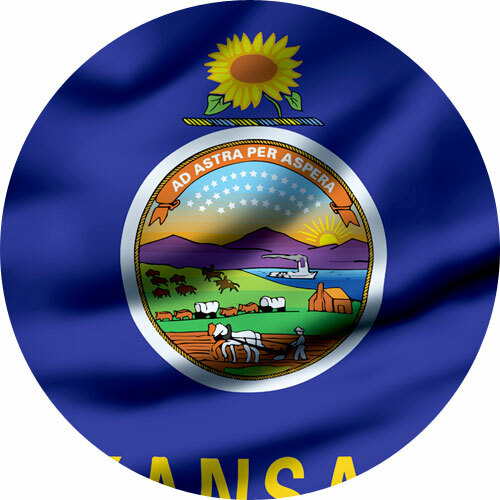 It showcases traditional livestock shows, fairground rides, concerts, food booths, games and other traditional state fair attractions. This event is also known as Mississippi’s Giant House Party. It was established in 1889 with the aim to nurture knowledge in the areas of agriculture, politics, and social exchanges. The weeklong celebration includes extensive racing program, camping grounds, horse shows and more. This two-day festival is one of the top events in the southeast part of the country. It attracts more than 40,000 attendees. The event features arts and crafts, food booths, entertainment, and various activities for the whole family. 97-29-11 A person is committing a misdemeanor by being a parent to two illegitimate children and will possibly do jail time for a month. 97-29-47 Profanity or drunkenness in public place: The law states that using “profane language” or being drunk in a public place can result in a fine of a hundred dollars or jail time of not more than thirty days, or possibly both. 97-35-39 Penalty for vagrancy: Mississippi law states that any person convicted of being a vagrant will be jailed for not more than thirty days or shall be required to give bond not less than two hundred and one dollars. If you have deep Mississippi roots and you’re proud of your state, then show it. Holidays and festivals give the perfect opportunity to show how much you appreciate your state and the country you live in. Fly a flag during these state holidays and festivals to show support and appreciation for your roots. 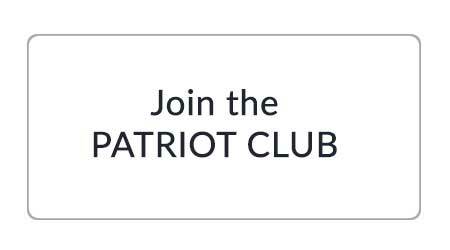 Make it a tradition in your family and pass on the love of country to the younger ones. Looking for a flag that will do the job? 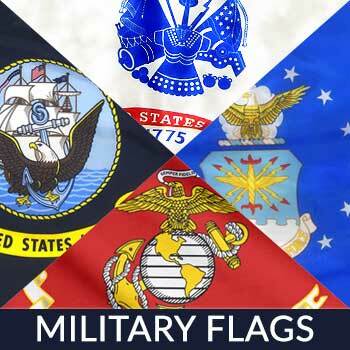 Our All-Weather Flags are proudly, US Made and are made to withstand the humid subtropical climate of Mississippi. 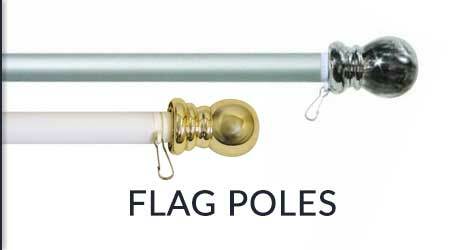 Our flags have vibrant colors and are treated to resist chemical deterioration and the harmful rays of the sun. Contact us today!